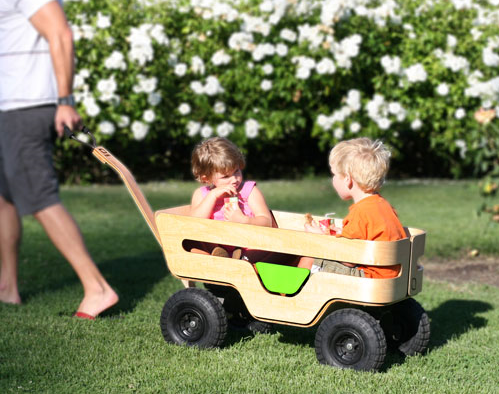 Toy wagons have been a part of kid culture in modern history for centuries and were even found ancient Greek and Aztec cultures. Kaiku Design has re-imagined the toy wagon and created the Zen SuperWagon. With modern lines, ergonomic elements, uber functionality, and sustainable materials, its sure to be a new classic. Via 2modern.